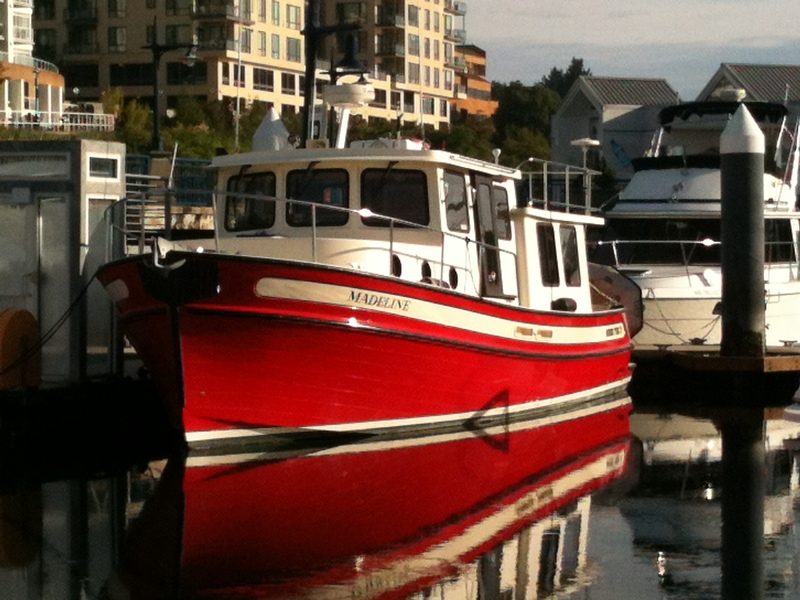 This Blog documents our experiences on our Nordic Tug ‘Madeline’. After 25 years of boat shopping and saving Bonnie and I purchased Madeline in May 2013. Hope you find our ‘Ship’s Log’ interesting and fun. Have an amazing time Bonnie!!! wooohoo! and you’re off! I’ll be watching regularly. Bon voyage! What a pretty boat! My favorite color too! How fun for you two! I yam what I yam. toot toot ! Hi ya’ll, best wishes from Maine. Travel safe! having fun. Safe travels home! Love, love… love Madeline! Have a fun, enjoy your new adventure! I’m enjoying your blog, thanks for posting when you can Bonnie! Loving your blog. Enjoy your travels! Finally got your blog!! Looks like a great trip! Enjoying reading the blog! See you soon, Bonnie. Thanks Mary Beth. We are enjoying the trip. Hope to see you this fall. Looks like a lot of fun, should be able to cruise into Juneau on the 4th, hear they are planning a parade for you.